Research is showing that dental health can affect athletic performance. Reports show that about 18% of athletes at the 2014 Olympics had a toothache or other dental issues that may have affected performance, even to the point of losing a possible medal. Sports drinks are a leading culprit of dental problems in athletes. The sugars and acids in these drinks cling to the teeth and gums, stimulating the production of harmful plaque that leads to decay and periodontal gum disease. In addition to the harmful effects of sports drinks, athletes exercise intensely during training, often leading to dehydration. When the body loses fluid, less saliva is produced as well. Saliva helps to neutralize some of the acids that enter the mouth and rinse particles away to keep them from clinging to the teeth. Athletes are at an increased risk for developing oral health problems due to dehydration and re-hydration. However, good oral hygiene can prevent these factors from negatively impacting dental health and athletic performance. Rinsing the mouth with water after drinking sports drinks and spitting without rinsing with water after brushing can help. If rinsing is needed, a fluoride rinse can help to strengthen teeth. Whether or not you are an athlete, it is important to have regular visits with your dental care provider to reduce the risk of developing serious dental problems that can affect daily performance. 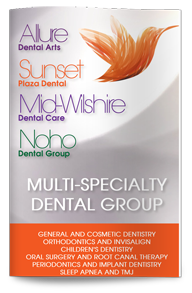 Make an appointment to see our dentist in West Hollywood for a comprehensive exam and professional cleaning.